Knowing how to date clothing as vintage is a skill that’s taken me years to acquire, and one that I’ll build upon for the rest of my life. 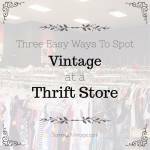 I’m constantly researching what vintage sellers and fashion historians have to say about the nuances of accurately dating vintage clothing and identifying vintage labels and tags when shopping thrift stores, estate sales, your grandmother’s closet and other secret shopping sources! 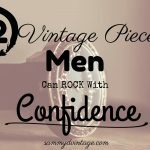 To give you the tools to talk the talk and walk the walk of a vintage fashion expert, I’ve put together this article outlining eight tell-tale signs your piece is vintage, and advice on how to analyze each sign to identify the era your piece was most likely made. So whether you’re a vintage clothing newbie or an expert looking to brush up on her skills, keep reading after the jump for my top tips on dating vintage clothing! 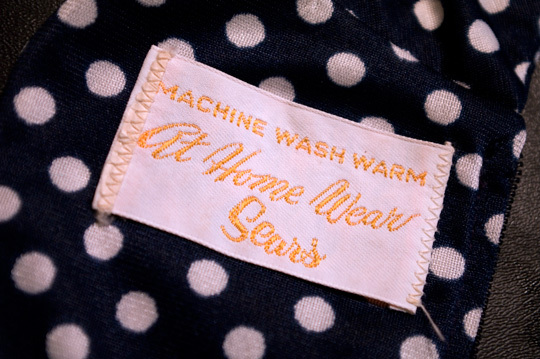 The construction and labeling of clothing garments changed from decade to decade in the 20th century, which is a benefit for vintage lovers who want to learn how to accurately date their clothing, whether for personal or resale services. 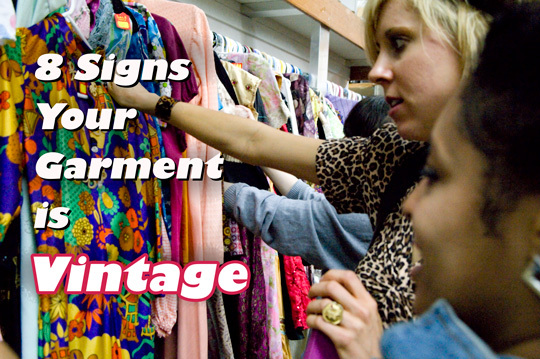 This list isn’t the end-all-be-all for dating vintage clothing. Noting whether a garment has a union or Made in USA tag, as well as recognizing popular silhouettes, patterns and colors of an era’s most popular clothing styles will also help to authenticate the age of a piece. 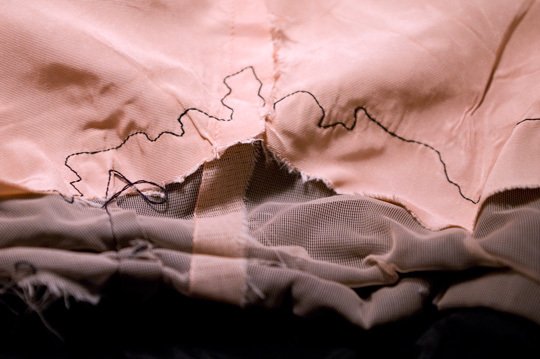 How do you determine the era of your garment? Share your thoughts with me in the comments below the post, or by saying hello on Twitter, Facebook or Instagram! Subscribe to my newsletter for more secret tips on dating vintage clothing + exclusive online vintage sales! Feel free to scroll through the post to read these eight tips for dating clothing as vintage, or click any of the links below to be taken immediately to the text within the article! 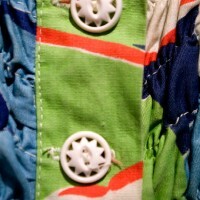 LOOK FOR: A metal zipper placed either in the side seam or back middle of the garment. APPROXIMATE AGE: 1963 or earlier. VINTAGE HISTORY: Metal zippers were first used in garments in the 1930s, but during that era they were rare. 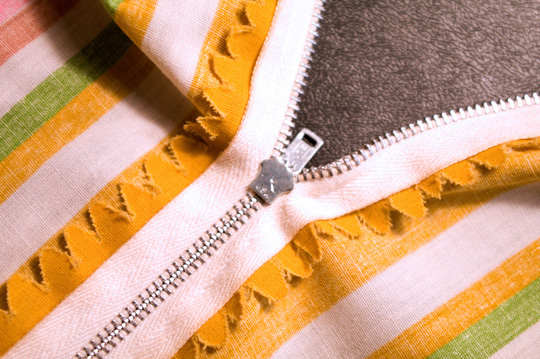 Zippers became available in plastic (called “woven” zippers) beginning in 1963, and beginning in 1968 nylon (plastic) coil zippers were used in practically every single mass produced garment. Also important to note for accurate dating is placement of zipper either along the side or in the back middle of the garment. Side zippers are most frequently seen on garments from the ’30s and ’40s. Back middle zippers are common on garments from the ’50s and ’60s. Beginning in the ’70s middle back zippers were always used on a garment. 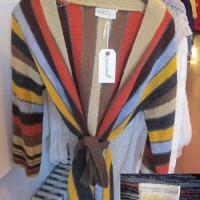 LOOK FOR: Handmade garments without labels or tags. APPROXIMATE AGE: 1950s to 1970s. VINTAGE HISTORY: The American sewing industry boomed beginning in the ’50s, despite ready-made clothing available from mail order catalogs and department stores. In 1955, 52 million women in the U.S. were active sewers of their own clothing. Between 1960 and 1968, the amount of clothes sewn at home increased by 50 percent! By 1974, numbers dipped to 44 million women sewing at home. 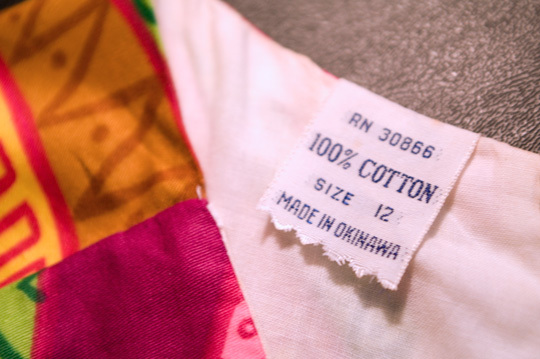 But by the 1980s, women were purchasing mass produced fashion that was less expensive than ever thanks to outsourcing of production to Asian countries. LOOK FOR: The garment care tag stitched onto the interior of the garment. APPROXIMATE AGE: 1971 or later. VINTAGE HISTORY: In 1971 the Federal Trade Commission released the “Care Labeling Rule” which required all manufacturers (including importers) of apparel to include garment care instructions on an interior tag. If the garment was made by a brand but is missing care instructions, you can confidently conclude the piece was produced before 1971. LOOK FOR: Clothing brands “of California” as seen on the garment’s tag. APPROXIMATE AGE: 1930s to 1970s. VINTAGE HISTORY: Beginning in the 1930s when casual clothing became more popular for women, clothing companies found their home and style inspiration from the Hollywood glamour associated with the west coast lifestyle. 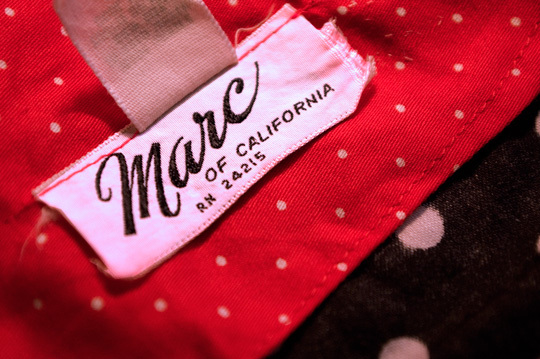 Companies like Alice of California, Murs of California, Koret of California, Marc of California (above) and Cole of California were born in the 1920s and 1930s and continued producing styles into the 1970s. Beginning in the 1980s, the California flavor lost its luster and new brands were born emphasizing this new “me” generation. LOOK FOR: Clothing brands which list Hawaiian cities or islands as origin of production (such as Honolulu) or use “Hawaii” in any shape or form in the brand name. APPROXIMATE AGE: 1930s to 1960s. VINTAGE HISTORY: While Hawaii officially became an American state in 1959, its influence on American fashion began in the 1930s when tourism to the Pacific increased thanks to more cruise ships sailing to the islands. When Hollywood celebrities like Ginger Rogers began wearing Hawiaan dresses and Betty Grable wore a Hawiaan pin-up bathing suit in the ’40s, the American public was swayed to adopt the trend as a must-have in their own closets. For those who couldn’t travel to Hawaii to purchase the genuine garb, American brands like Tori Richard (above) designed their own Hawiaan inspired styles. Hale Hawaii and Kuu-Ipo Hawaii are other examples with more deliberate Hawiaan branding in their names. LOOK FOR: The size of a garment and comparing it to your modern size will help determine whether it’s vintage. APPROXIMATE AGE: Without a size listed, earlier than 1958. With a size listed, you need to look at other aspects of the garment to determine its age, as sizing was used before 1958 just not in regulated fashion. 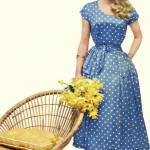 VINTAGE HISTORY: It wasn’t until 1958 that there were any regulations on a standardized sizing system for women. If you find a piece produced by a brand and without a listed size, you can confidently conclude that garment was produced in 1958 or earlier. 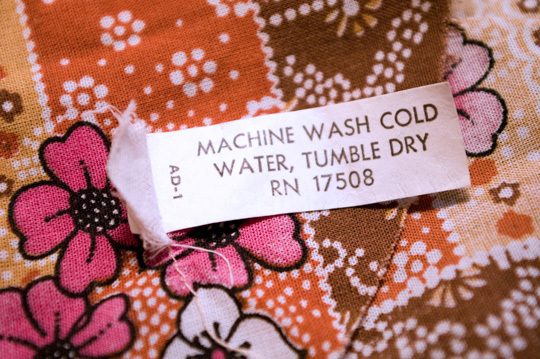 The vintage tag shown above is from a size 12 dress purchased in 1963. I am a size 6, roughly a 27.5 waist. This dress fits me perfectly, because a size 12 vintage is a modern size 6! The rule of thumb is that you are “six numbers bigger” than your modern size, which is why a size 6 like me is a size 12 in vintage sizing. 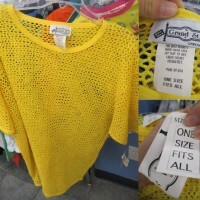 The sizing system changed again in 1984, to roughly 4 sizes bigger than modern size. I am a size 10 in ’80s vintage, then. 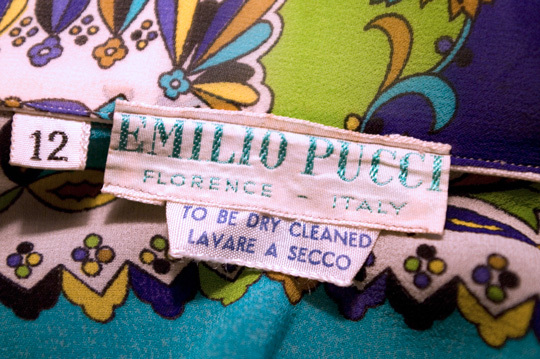 LOOK FOR: The tag of a prominent designer or in-house line, such as Emilio Pucci (above) or Lilly Pultizer (below). APPROXIMATE AGE: Depends on label design. VINTAGE HISTORY: Like the styles of clothing they created, the look of a designer tag changed throughout the history of the brand. Use the Vintage Fashion Guild’s label resource guide to compare your label’s design next to the tag pictures available. Emilio Pucci began designing in the late ’40s when Harper’s Bazaar commissioned him to design ski outfits for their winter 1947 issue, so a Pucci label can be from a 1940s piece or later. 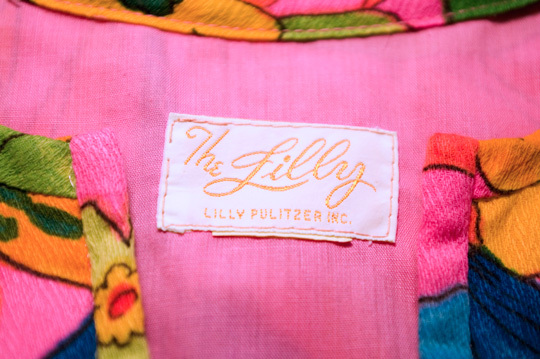 Lilly Pulitzer the brand was born in 1959, when Mrs. Pulitzer herself began designing colorful floral dresses that wouldn’t show stands from her work at a Florida juice stand! The dresses were so popular amongst the stand’s customers that she began producing a professional line. When Jackie Kennedy wore a Lilly in Life Magazine in the early ’60s, demand grew exponentially and she was forced to close her juice stand and work on the clothing brand full time. Still a popular preppy and funky floral line today, Lilly’s tags are tell-tale signs of the era a piece was approximately produced. LOOK FOR: “At Home Wear” or “Hostess Wear” written on the garment’s tag. APPROXIMATE AGE: 1960s to 1970s. 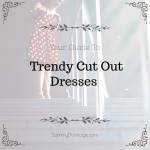 These styles of clothing usually included muumuu dresses, jumpsuits with culotte style (wide) pants and various polyester separates that could be mixed and matched into different outfits. While relaxed in fit and material, hostess wear was still elegant and thoughtfully designed as they were intended to be worn by the woman-of-the-household when hosting a social gathering at her home. She needed to wear an attractive ensemble that still allowed her to manage the party and needs of her guests. Great tips! I will be sharing on my facebook fan page!! Great list, Sammy – #4, 5, and 8 were all new to me. I’m still a vintage newbie, so tips like these are great for broadening my experience. Pics are super helpful too. Thanks for sharing your knowledge! This is GREAT news. I am constantly learning new tricks too. Can’t wait for an updated post in the near future, and one specifically on union tags! Thanks Natalie! There’s about 5 distinct tags to look for (union tags). I’m visiting a great vintage store here to capture images of them all. A guide to union tags doesn’t exist on the internet!!! 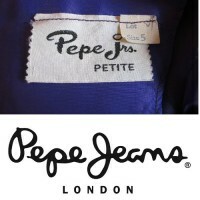 You probably already know about this, but in case not (it’s sort of hidden amidst all the brand names), the VFG has an article on ILGWU tags: http://vintagefashionguild.org/label-resource/ilgwu/. Maybe you could submit your pictures to that page as well. Can’t wait for the next post!! Natalie, thank you SOOOOOOO much for reminding me of this again. It’s absolutely buried. This is the only resource I know of — the Ebay guide lost its photos! Amazing post. I absolutely love this! Such a brilliant post, so useful and well researched. I learnt more reading this than I have in the last week. Thanks! Ps love the Pucci fabric! Suzanne thank you so much for lending this insight to the post! I was thinking of including this note but it is for a future post of “things that can fool you” about dating vintage clothing. What a great explanation though of your own predicament. Ah, vintage children’s clothing! I love it! Suzanne you are an AWESOME mom. I wish you had been my mom! As for your old punk gear, NEVER get rid of it!! 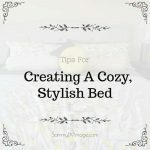 This post completely helped me on a recent, tagless, find!! Thanks!! Hi Sammy, I was so glad that I found your guide! I found a vintage dress a few weeks ago at a thrift store and I’m trying to date it, but I’m a little confused. First of all, it has a ILGWU AFC-CIO tag (which is dated to 1955-1963- the tag with the scalloped edge with a needle running through it?). But it also has a plastic zipper, which according to your guide were not on garments until 1963 or later… and a “dry clean only” tag which dates it to 1971 or later. Also, there is no size tag but there is a larger brand tag that says “Nadine.” Do you think someone switched the zipper before I bought the dress? Am I missing some tags? I’m a total newbie at this so I am very confused! Also studying patterns and colors is very helpful. LIKED THE ARTICLE , I WAS THE 60S’ CHILD BUT HAVE FORGOTTEN SO MUCH. THANKS REALLY APPRECIATE THE ARTICLE. Aloha, I realize this post is old but I thought I would comment anyway. I work at Tori Richard and you reference our company in the above and I would like to provide some corrections: 1. 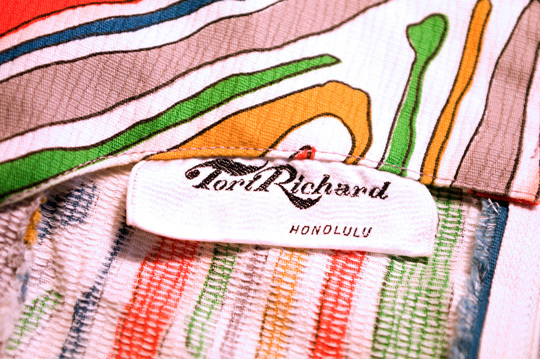 Tori Richard is a company founded in Hawaii in 1956. And while we are an American company of course, we are still based here in Hawaii. We continue to design, cut and sew Tori Richard men’s and women’s products here in Hawaii in 2018. From this thread it appears either we stopped making product in Hawaii in the 1960s or that we are not based in Hawaii -neither of which is accurate. Thanks!